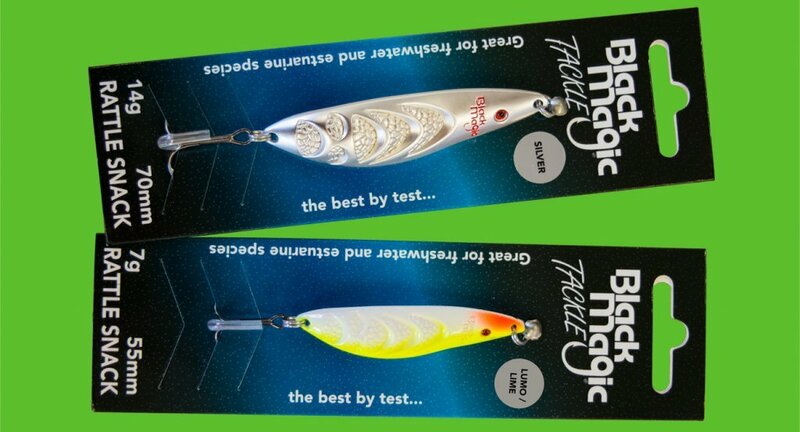 Black Magic’s continual growth and development in freshwater lures sees yet another original addition to their already strong line-up of freshwater lure options. This new arrival is called the Rattle Snack and, as its name suggests, it has a built-in tungsten rattle which is harmonically tuned. There are two weights available, 7g and 14g, and the quality hardware ensures your target species will be landed, not lost. The Rattle Snack’s aggressive shape creates a very enticing swimming action, and whether you’re trolling from a boat or casting to your favourite lie in a river, estuary canal or lake, this superior action and harmonics will deliver results. With six great colours designed to suit Autralian fishing conditions, this new arrival is sure to become a favourite. It’s available now from leading tackle stores throughout Australia.